This heirloom paste tomato, known in the Ukraine as Sosulka Chernaya, has oblong 4 oz. fruits in a burgundy-brown shade. 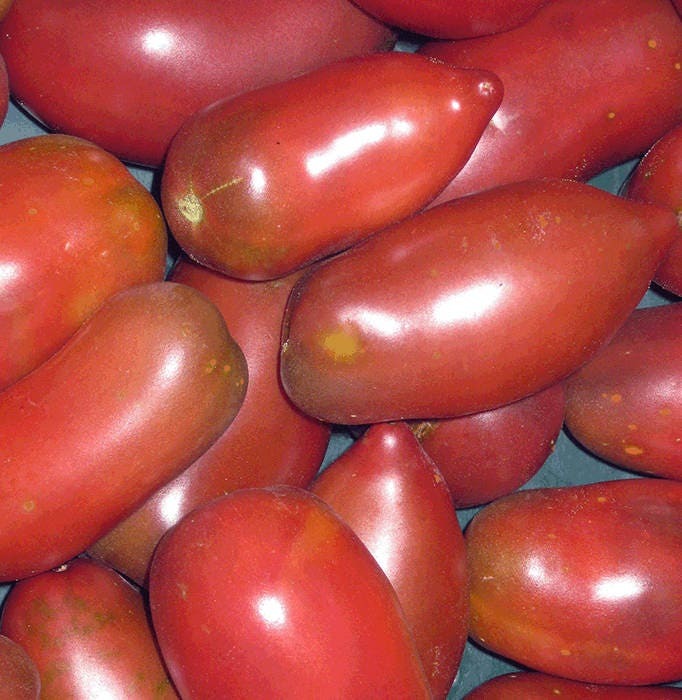 Though it has the shape and thick-walled meatiness of a Roma, its taste profile is more like a black heirloom beefsteak. Slow to get going – not for short season locations.